Nick Schultz | The Phoenix Loyola head coach Porter Moser thanks fans after sealing another MVC title March 2. 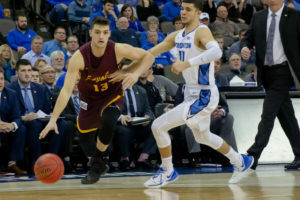 Despite both making the NCAA Tournament a year ago, Loyola and Creighton are getting set to face off in a battle of Jesuit universities in the National Invitation Tournament (NIT) Tuesday night. Loyola, a No. 7 seed, will be playing in its first NIT game since 1980 — just one year after becoming the nation’s Cinderella and making it to the NCAA Tournament Final Four. Since Creighton’s the higher seed, the No. 2-seeded Bluejays will host the game at the CHI Health Center in Omaha, Nebraska — formerly known as the SportsLink Center. 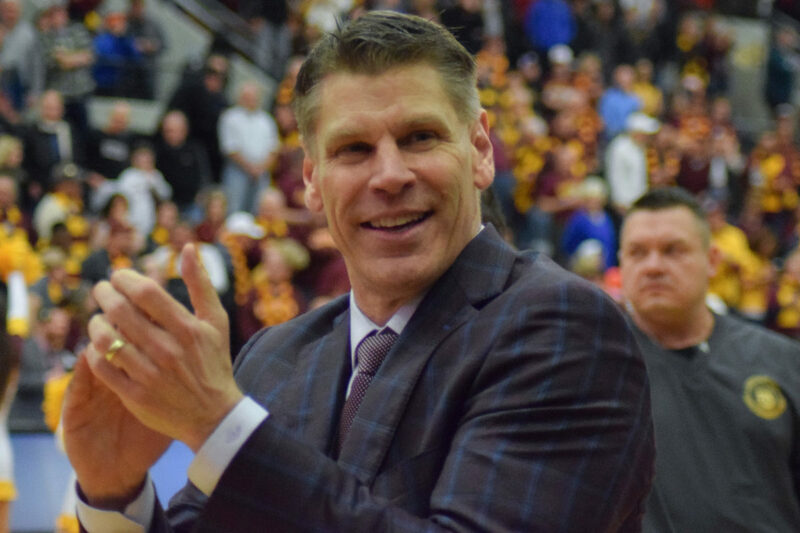 In addition to being Jesuit schools, one person creates another connection between the two teams: Loyola head coach Porter Moser. Moser played for Creighton from 1986-90 and played 13 minutes for the Bluejays in the 1989 NCAA Tournament. He stayed on as a graduate assistant coach under coach Tony Barone before becoming an assistant coach at Texas A&M University under Barone from 1991-95. 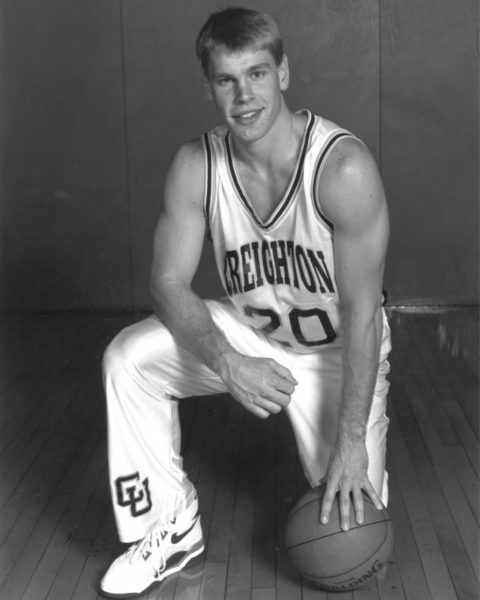 Photo courtesy of Creighton Athletics Loyola head coach Porter Moser played at Creighton from 1986-90. Moser last returned to Omaha in 2007 as head coach at Illinois State University, and Loyola last played Creighton in 2015 at Gentile Arena. 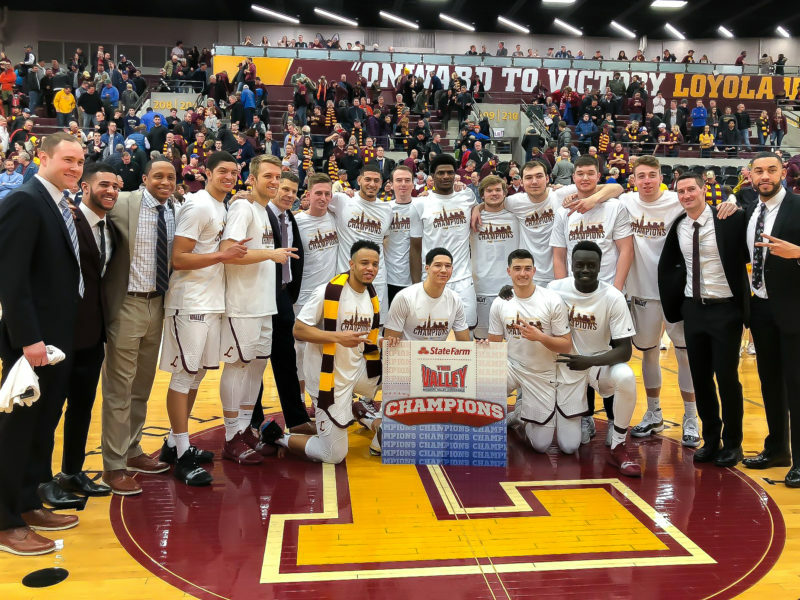 The Ramblers defeated the Bluejays 68-65, just two years after Loyola replaced Creighton in the Missouri Valley Conference (MVC). That’s the only time Creighton’s played an MVC team since joining the Big East Conference in 2013. This season, the Bluejays finished 18-14 overall and 9-9 in Big East play. 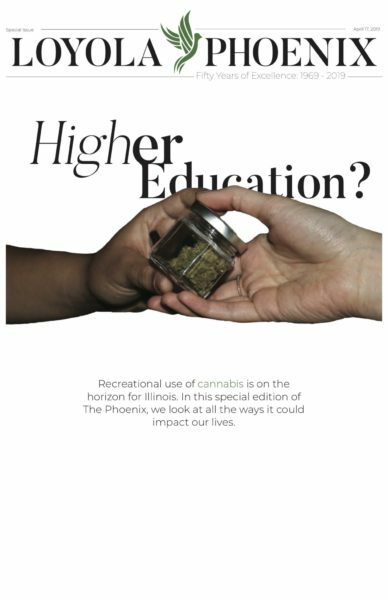 As the No. 5 seed, they fell to No. 4 seed Xavier University 63-61 in the quarterfinals of the Big East Tournament March 14 and picked up an at-large bid to the NIT. Four Bluejays average double figure points per game, led by honorable mention All-Big East selections Ty-Shon Alexander and Martin Krampelj, who average 16.2 and 13.7 points per contest, respectively. As a group, Creighton averages 78.8 points per game and holds opponents to 73.8 points per game. In comparison, Loyola averages 65.8 points per game and while allowing just 60.5 points per game. Abby Schnable | The Phoenix The Loyola men’s basketball team received an automatic bid to the NIT after winning the MVC regular season title. In last season’s NCAA Tournament, Creighton was a No. 8 seed and fell to Kansas State University 69-59 in the first round. Later, Loyola — a No. 11 seed — defeated Kansas State 78-62 en route to the program’s first Final Four since 1963. Three Ramblers — Marques Townes, Clayton Custer and Cameron Krutwig — started on that Final Four team while Lucas Williamson was another key contributor to the Ramblers’ Cinderella run. All four are expected to start against Creighton Tuesday night, and Loyola has a 10-4 record when they’re in the starting lineup. Loyola and Creighton are scheduled to tip off the first round of the NIT Tuesday night at 8 p.m. The game will be broadcasted on ESPNU.